Funeral sheaf in pink colours. In memory of a loved one. 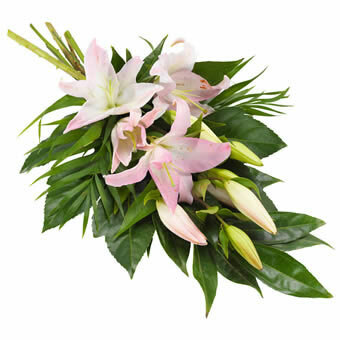 Send your personal greeting along with this classic funeral sheaf. It will contain lilium and decorative greenery.